In Kansas City, there is a connection between where people live and the economic realities of their lives. Today, we air a conversation hosted by American Public Square that looks to understand how poverty, race and place interact to affect the people who live in urban neighborhoods. 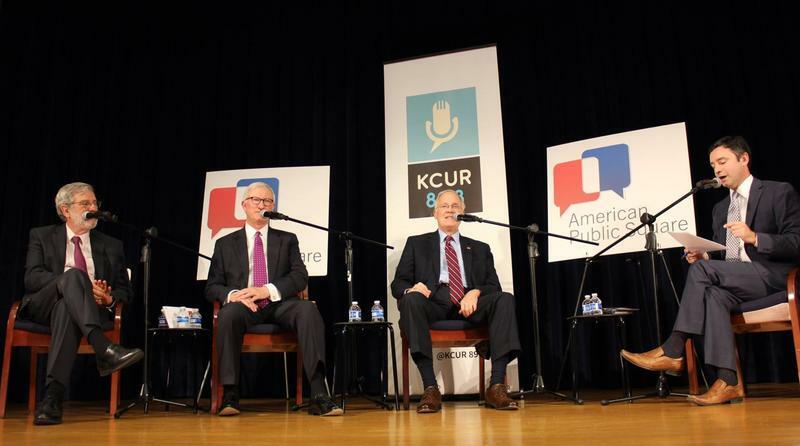 On October 13, American Public Square and KCUR co-hosted a conversation at the Harry S. Truman Presidential Library and Museum for the public about an increasingly hostile political environment, and whether civility can help correct the course. An edited version of this discussion aired on KCUR's Up To Date on Monday, November 7. Several regional schools have seen intense, sometimes violent protests focused on social and civil divisions, but the UMKC campus has largely been spared. Today, we find out what makes the metro institution different. Then, a futurist shares her strategies for predicting trends in technology, business and more. The University of Missouri should emphasize diversity in its recruitment, train professors in the importance of diversity in their courses and increase outreach to improve diversity among faculty and staff, a systemwide task force recommended on Wednesday. Those proposals were among priority items included in the task force’s report. It was responding to a comprehensive audit of diversity, equity and inclusion practices at the university conducted by the consulting firm IBIS.